In churches today, there are ever fewer older pastors speaking into the lives of younger leaders, and fewer younger leaders feeling there is much to be learned from the experience of their elders. Street-smart wisdom is gone from training as there are many men and women preparing pastors who have never themselves pastored a church. Intriguingly, even older, more seasoned pastors yearn for insight into their task, as they remain "undiscipled" in the school of leadership. In What They Didn't Teach You in Seminary, veteran pastor James Emery White provides the kind of mentoring young pastors desperately need but cannot get from academia or leadership books. These "from the trenches" insights will help them transform their relationships with staff and parishioners, develop healthy boundaries, deliver hard truths, avoid spiritual pitfalls, use their time effectively, and much more. 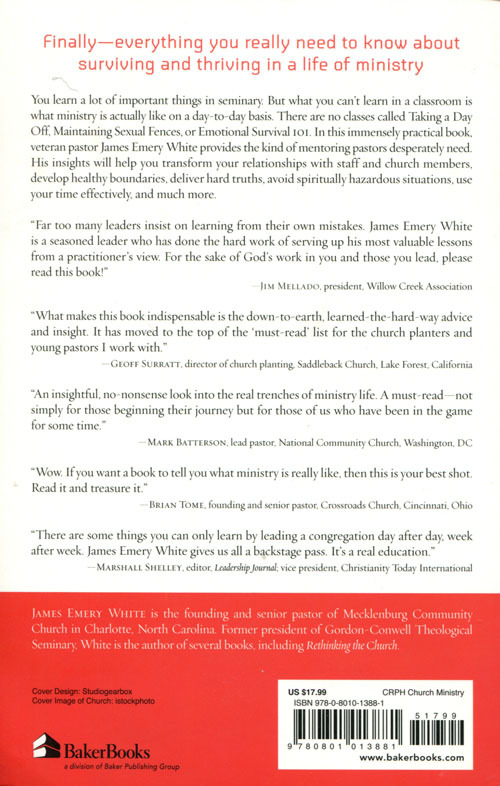 What They Didn't Teach You in Seminary by James Emery White was published by Baker in September 2011 and is our 33293rd best seller. 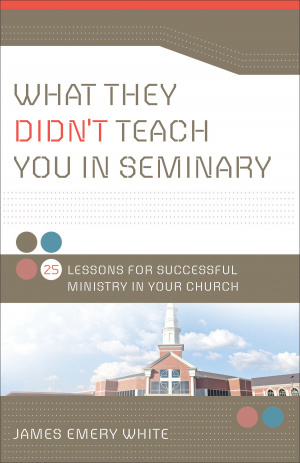 The ISBN for What They Didn't Teach You in Seminary is 9780801013881. 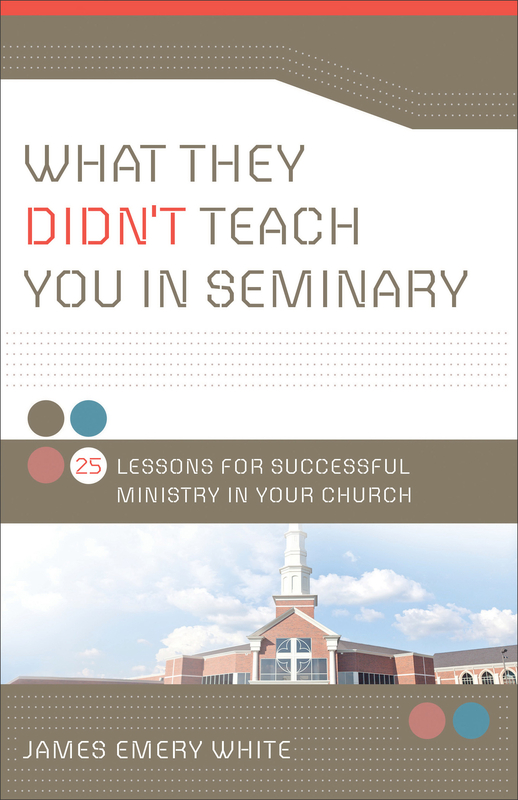 Be the first to review What They Didn't Teach You in Seminary! Got a question? No problem! Just click here to ask us about What They Didn't Teach You in Seminary.